Verify long term durability and the effects of extreme thermal cycling on Charge Air Cooler heat exchangers. Simplicity of design and function assures long term performance and dependable results. Automotive to Class 8 CACs. Q’s standard system will test two-2 UUTs (unit under test) at a time. By design, one unit will operate in a hot cycle, while the counterpart operates in a simultaneous cool cycle. 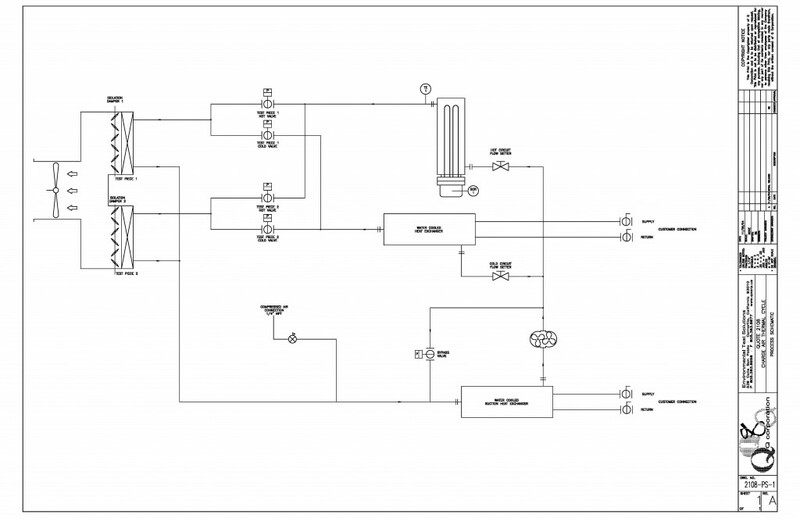 The hot circuit will source air from a Q Corp modular charge air supply system (CASS). Once exiting the UUT, the air is further cooled via water to air heat exchanger before returning back to the inlet side of the CASS. 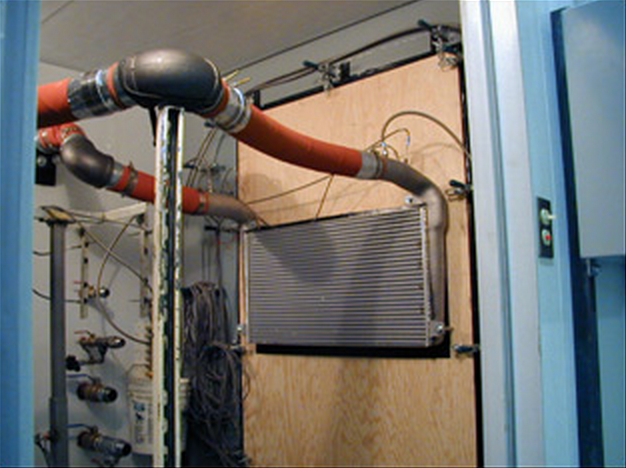 The surface air (i.e., cool air supply) is routed through an insulated room enclosure. The room is divided into two rooms by a partition in the middle. The units under test (UUT) are mounted on the partition allowing air to pass from one room into the other. 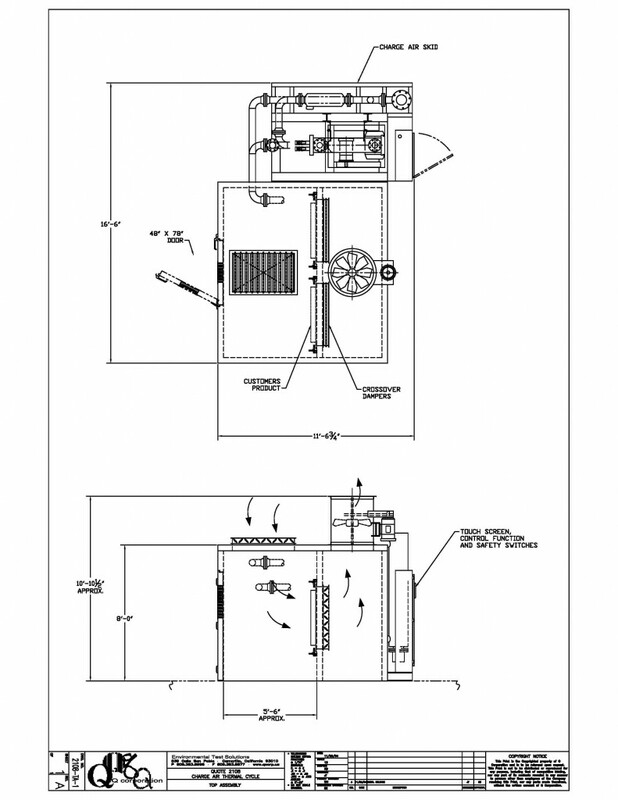 The open loop cool circuit will source air from the ambient surroundings through a main air supply blower. The air is cooled thru a water to air heat exchanger before entering UUT. Once exiting the UUT, the air is discharged back into the open room environment or ducted to an external location/outside.